An expensive conditioner, but worth the money! 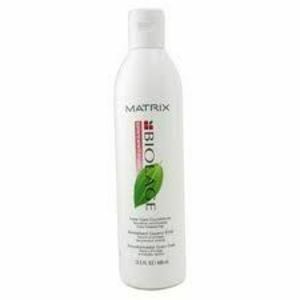 Matrix Biolage is a company that is well known for its hair care products. They work hard to make their products high quality and that shows in the price. I purchased a shampoo/conditioning Matrix Biolage Color Care pack at my salon when it was on sale. I do not think that I could afford this conditioner if it was full price, but I really wish that I could. This conditioner really helped my hair's color job last longer than it normally would without it. I have had some trouble finding a conditioner that lives up to that claim. My color was brighter and nicer about two weeks longer than normal. Also, my hair was so soft and shiny. I loved running my fingers through my hair when I used this conditioner. Also, the scent was great. I could not find anything bad about this conditioner except for the price. I would definitely recommend this product if you have the funds to afford it. Matrix Biolage Color Care Conditioner is one of the best that is out there. This is a product that I have used ever since my hair dresser recommended it. I love how it has helped me manage my hair, my hair is frizzy and very dry and needs all the conditioning I can give it. There are many products on the market and I have tried many of then and I always come back to this, it works best with my hair. It sure was a pleasant surprise to finally find a conditioner that actually worked and did what it was supposed to do. I highly recommend Matrix Biolage Color Care Conditioner to anyone looking for a solution to dry, unmanageable hair. 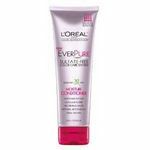 Effectiveness This is very effective on any type of hair, but especially on colored hair. It really does keep your color longer than any conditioner I have used. Scent Matrix Biolage Color Care Conditioner has a very pleasant, nice clean scent, not real heavy to were it would clash with your perfume and other hair products you may use. One of the best conditioners! I used Matrix biolage color care conditioner along with the Matrix Biolage color care shampoo a few years back when I got my hair colored. To be honest this was like the best ever conditioner I ever came across.The conditioner is quite thick, easily applicable and the bottle goes a long way. It is to be applied throughout the hair length and let sit for 3-4 minutes. Though it runs somewhat pricey, but definitely best one out there for colored hair. When you get the hair colored there are so many chemicals that go into the process and hair might take a long time to recover from their harsh effects, then it is this conditioner comes in handy. Use it along with Matrix shampoo for the best results. 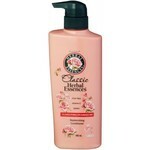 The conditioner made my hair so smooth and silky to touch, vibrant and lustrous too. It made my hair color looked so real as if I was born with those. I would happily use this product again if I ever get my hair colored again. I have been a Matrix girl off and on for many years now. But when I have color in my hair, I am ALWAYS a Matrix girl. There is no better color care product on the market. I can say this after plenty of experience with all brands of salon quality shampoos and conditioners. With high lights, low lights, or a combination of both, this conditioner locks in color and prevents fading, dulling and brassiness. Matrix keeps your color fresh and true, with the added bonus of keeping your hair damage-free. Effectiveness True to it's name, Matrix's Color Care Conditioner extends the life of your color by several weeks compared to other color care products. I have far less fading over time with Matrix than with other brands. 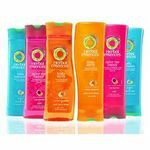 The conditioner is very thick and creamy but doesn't weigh down my curly hair as long as it's rinsed well after use. Scent The scent is fresh, clean, soft and stays in your hair until you wash it again. I was introduced to Biolage through my stylist. I dye my hair pretty much every other month. With as much as I dye m hair you'd think it'd feel like straw and look all dried out and lifeless but its just the opposite thanks to this wonderful product! It has kept my hair so strong and healthy you'd never know have a addiction to changing my hair color as often as I do! This conditioner leaves my hair so silky and smooth with out weighing down my hair and leaving it oily. Effectiveness It is awesome and conditioning my hair. It leaves my hair so silky and smooth. Scent Nice clean scent. I have been dying my hair since middle school because I was blessed with a natural ugly color. I have very thick hair with a natural curl in it. I have been from black to blond and back again. I was introduced to the biolage shampoo and condtioner from my hairstylist. She also used it while washing my hair and I loved the feel and smell of it. I have tried many different conditioners in the past and felt like I had to dump the whole bottle on my hair to get a shine out of it. 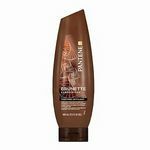 With having severly damaged hair from all the coloring this conditioner does wonders. I buy it with the shampoo usually when its on sale. I love the smell of it and the fact it comes in a big bottle. It is a little pricer then the everyday products you get from walmart or target. Every now and then I will drift back to "cheap" brands but my hair suffers deeply. I would recommend this to everyone because it has saved my hair from a lot of bad hair days.